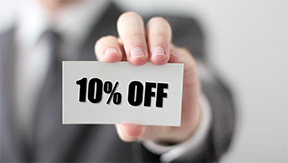 Our goal at Jubilee Printing Services is to make sure you look good in print and help you get your message out. We’re proudly woman-owned and our dedicated team represents over 70 years of printing expertise. Our services are fully customizable and we specialize in variable data addressing and mailing services. Redefine your message with textured words and pictures set to an alluring display of color. We breathe new life into custom wedding suites, specialty invitations, posters and oversized brochures in Richardson. At Jubilee Printing Services, it’s all quality, all the time. Treat your envelopes like a blank canvas and take advantage of our state-of-the-art four-color envelope printing in Richardson. 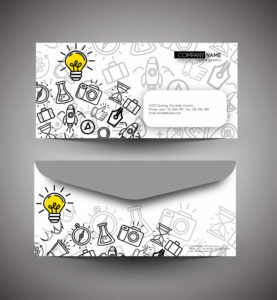 Our envelopes are beautifully printed in vibrant colors on all types of paper and come in a variety of sizes. Whatever you want to say in print on just about any medium, Jubilee Printing Services is here to help you get your message across. Whether you have a completed file to send or need design assistance, we’re here to assist and ensure your job is done on time and to your complete satisfaction. No matter the need, we accommodate. Our commercial printing services in Richardson can be tailored to meet a wide range of print and fulfillment needs. For businesses looking for high level production of their critical marketing material, we have the expertise to provide just that. 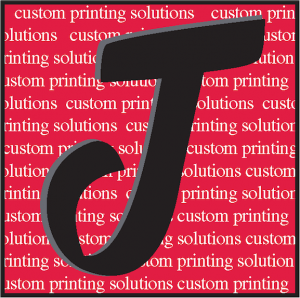 At Jubilee Printing Services, we have the scale, technology, and in-house expertise to deliver high-quality and competitive custom and commercial printing solutions. When you need to go big, our large format print capabilities can fit your needs.